The AMSE has been presented at numerous national and international meetings. American Academy of Child and Adolescent Psychiatry. New York, 2010. Oral presentation: "Sensitivity and Specificity of the Autism Mental Status Exam." European Psychiatric Association meeting. Vienna, 2011: Oral Presentation: "The Autism Mental Status Exam: Development of a Brief Observational Assessment." 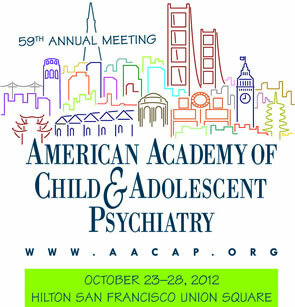 American Academy of Child and Adolescent Psychiatry (AACAP). Toronto, 2011. Oral Presentation as part of a Clinical Perspective Symposium: "Convergent Validity of the Autism Mental Status Exam." International Meeting for Autism Research (IMFAR). Toronto, 2012. Oral Presentation. IACAPAP. Paris, 2012. Oral Presentation: Workshop Symposium. Society for Developmental and Behavioral Pediatrics (SDBP). Phoenix, 2012. Oral presentation at Autism Special Interest Group. AACAP. San Francisco, 2012. Oral Presentation: Workshop Symposium. American Psychiatric Association. San Francisco, 2013. Poster Presentation. IMFAR. San Sebastian, Spain, 2013. Poster Presentation.